Album: "English Rebel Songs 1381-1914"
The Cutty Wren and its variants like The Hunting of the Wren are traditional English folk songs. The origins and meaning of the song are disputed. It is thought by some to represent the human sacrifice of the Year King, or the symbolic substitute slaughter of the wren as "king of the birds" at the end of the year for similar purposes, and such songs are traditionally sung on boxing day, just after the winter solstice. These rituals are discussed in The Golden Bough. Will ze go to the wood? quo' brither and kin. What to do there? quo' brither and kin. To slay the WREN, quo' brither and kin. There is a version in Welsh ("Helg Yn Dreain"), published by the Manx Society in 1869. In the Orkneys, a version called "The Brethren Three" (published 1915) describes the song as a lullaby. ("We'll aff tae the wids, says Tosie Mosie"). The often quoted "Milder to Moulder" version first appears in Cecil Sharp's "English Folk Songs" (1920), under the title "Green Bushes". In the USA the song has undergone considerable evolution, into the song "Billy Barlow", first known in 1916. In Ireland the hunt generally took place on Christmas day, with the procession taking place on St Stephen's day (26th December). On the Isle of Man, up to the end of the eighteenth century, the ceremony was observed on Christmas morning. In Carcasone (France), in the nineteenth century, it was on the first Sunday in December. The American versions mention a squirrel, rat or other small animal rather than a wren. The Chieftains stage performances have included dancers dressed as Wrenboys, in straw clothes. This has been captured on the the album "Bells of Dublin", which includes 6 tracks devoted to the ceremony, singing and dancing. In Arnold Wesker's play "Chips with Everything" (1962), the conscripts sing "The Cutty Wren" with more and more aggression with each verse. This is fairly incomprehensible unless we make the connection with the Peasants' revolt. Perhaps Wesker had read A.L. Lloyd's book. The two of them had worked together at "Centre 42" in 1960. 1962 was the year in which Ian Campbell decided to include the song on his album "Songs of Protest". It is possible that between the three of them they have generated an artificial mythology of a workers revolt being somehow connected with this song. Maud Karpeles was the first to question Lloyd's proposition. * "American Folk Songs for Children", Pete Seeger 1953 , as "Billy Barlow"
* "The Lark in the Morning", Liam Clancy 1955, as "The Wran Song"
* "Texas Folksongs", Alan Lomax 1958, as "Billy Barlow"
* "Songs of Protest", The Ian Campbell Folk Group 1962, as "The Cutty Wren"
* "So Much for Dreaming", Ian and Sylvia 1967 as "Cutty Wren". * "Prince Heathen", Martin Carthy 1969, as "The Wren"
* "Please to See the King", Steeleye Span 1972, as "The King"
* "No Relation", Royston and Heather Wood 1977, as "The Cutty Wren"
* "Sound Sound Your Instruments of Joy", The Watersons 1977, as "Joy, Health, Love and Peace"
* "Live At Last," Steeleye Span 1978, as "Hunting The Wren." * "Winter's Turning", Robin Williamson 1986, as "Hunting the Wren"
* "English Rebel Songs 1381-1914", Chumbawamba 1988, as "The Cutty Wren"
* "Oranges and Lemmings" (Les Barker), Martin Carthy and June Tabor 1990, as "Hunting the Cutty Wren"
* "Time," Steeleye Span 1996, as "The Cutty Wren." * "Wassail! ", John Kirkpatrick 1998, as "Hunting the Wren"
* "Up in the North, Down in the South" Bill Whiting (VA) 2001 as "I'm Going to the Woods"
* "Ballad of America volume 2", Matthew Sabatella 2006, as "Billy Barlow"
There is a Breton tune called "The Wren", played by Maggie Sansome on the album "A Celtic Fair" (2007), but it is not clear if this is related to the ceremony. 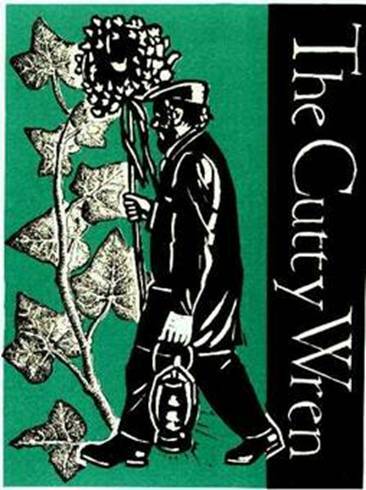 The Cutty Wren was written at the time of the Peasant's Revolt in 1381. It tells the story of the capture of the wren - a symbol for the King - and it's division amongst the poor people. An ancient custom in those times declared that for one day in each year the commoners would have the freedom of the kingdom, and it was on this day that the wren was hunted. The people obviously wanted more than this token relief from daily poverty and starvation: when the King tried to introduce a Poll Tax, further crippling the peasants, they ganged together and began to murder first the taxcollectors and then the Lords and Bishops. The peasants had had enough. Opposition to the tax created a spontaneous revolutionary army. Under the leadership of Wat Tyler, a commoner from Colchester, the people marched through Kent and into London. Palaces were ransacked. Archbishops were dispatched to meet their maker. For nine days the peasants had, in effect, control of England. The King proclaimed that servants, peasants, commoner - all were now free people. The jubilation didn't last long. At a prearranged meeting between Tyler and the King's courtiers, and out of sight of the peasant army, Wat Tyler was murdered. The huge people's army, too dependent upon his leadership, was divided and routed by the King's soldiers. The re-introduction of the Poll Tax in Britain, over six hundred years later, suitably demonstrated the historical link of outright defiance and resistance across the centuries. The Poll Tax, both then and now, was scrapped. "If you prick us, do we not bleed? If you tickle us, do we not laugh? If you poison us, do we not die? And if you wrong us, do we not revenge?" 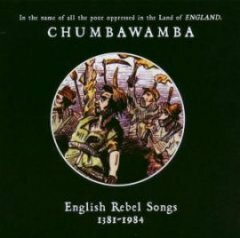 ''English Rebel Songs 1381–1914'' by Chumbawamba. Il più antico testo conosciuto della canzone, dalle Scots Song dello Herd, 1776. Presente anche nel testo manoscritto dello stesso Herd (Herd Manuscript), stampato poi da Hans Hecht, p. 200. 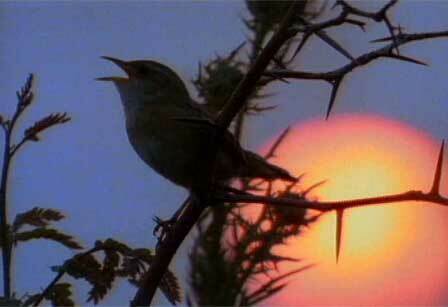 "The Cutty Wren", untitled, from Herd's 'Scots Songs', 1776, the earliest known text. Also in Herd's MSS, printed by Hans Hecht, p. 200. What way will ze get her hame? quo' brither and kin. We'll hyre carts and horse, quo' brither and kin. What way will we get her in? quo' brither and kin. We'll drive down the door-cheeks, quo' brither and kin. And I'll hae anither, quo' brither and kin. E come lo taglierete, disse Milder a Moulder. 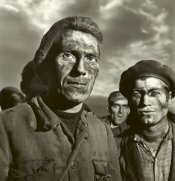 La daremo tutta ai poveri, disse John Nasorosso. Ça n' va servir à rien, dit Milder à Moulder. De grandes charrettes et voitures, dit Jean Nezrouge.